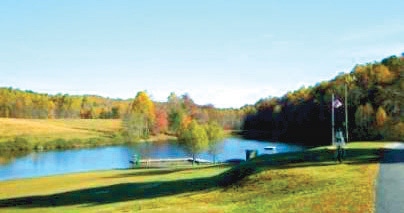 Come visit Orchard Lake Campground, one of the most beautiful campgrounds in Western North Carolina. Whether you come in the spring while the apple trees blossom, summer when the cool mountain air refreshes you, or fall when the display of colorful foliage is a magnificent sight to see. Step back in time where people are friendly and families are welcome, and experience good old fashioned fun at a place with full camping amenities. Rate good one night only, Sunday – Thursday. "My wife and I have been members of Enjoy America! since the very beginning. I believe that was in 1996. We have enjoyed many years of "RVing" with their system of resort-park affiliations. We hope to have many more years of enjoyable adventures with the use of Enjoy America! membership".